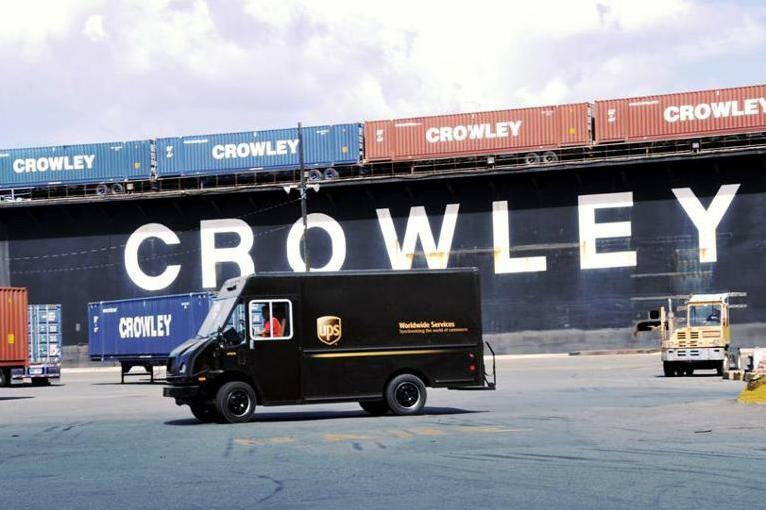 (San Juan, Puerto Rico; May 26, 2010)—Crowley continues to bring good things to Puerto Rico, delivering 10 UPS package delivery trucks to San Juan on Friday. Crowley transported the trucks, which each measured over 19.25 feet long, 7.5 feet wide and 9.6 feet tall, from Jacksonville to the island commonwealth aboard the Miami, a 730-foot, triple deck, Ro/Ro vessel. Founded in 1907 as a messenger company in the United States, UPS is the world’s largest package delivery company and a leading global provider of specialized transportation and logistics services, with a total of $49.7 billion in worldwide revenue annually.